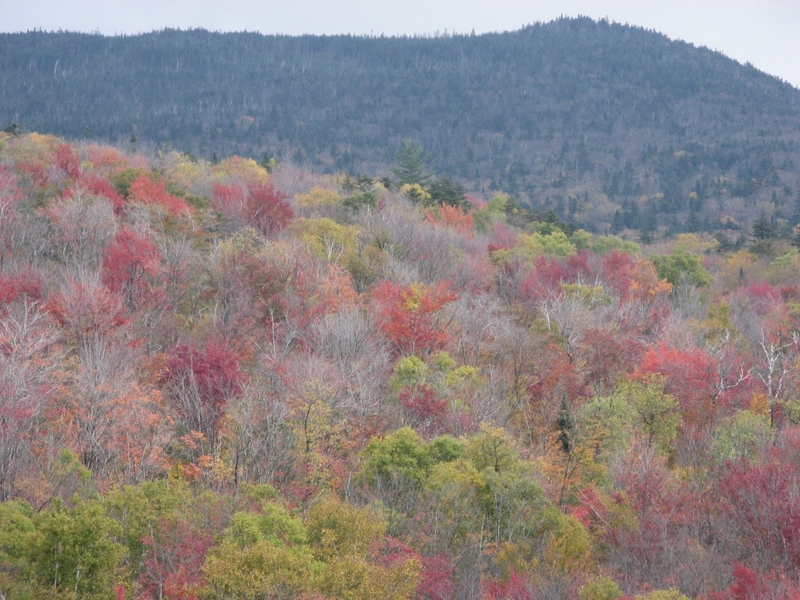 This really is my favorite time of year in the Adirondacks. We’re just past Columbus Day so the bulk of the crowds are gone for the season. Don’t get me wrong, I love tourists! I had the entire Blue Ridge Road to myself with colors which can only be described as sublime. Not another car the whole way until I hit Newcomb. I’m sure glad I made the drive to attend the event I mentioned in a previous post – Smart Actions for Real Growth. It’s been a too long since I last visited the Adirondack Museum who co-sponsored today’s symposium with Hamilton County Tourism. I always recommend the Museum as a “must-do” Adirondack activity, just go and see for yourselves. The goal for the day was the generation of “an action plan to increase tourism in Hamilton County and the surrounding area and to grow tourist-related businesses.” Two panels were assembled to explore how this could be done. I’ll endeavor to be brief in my attempt to distill yesterday’s findings. OK, can we go home now? Just kidding. That pretty much sums things up here and set the tone for the rest of the day. 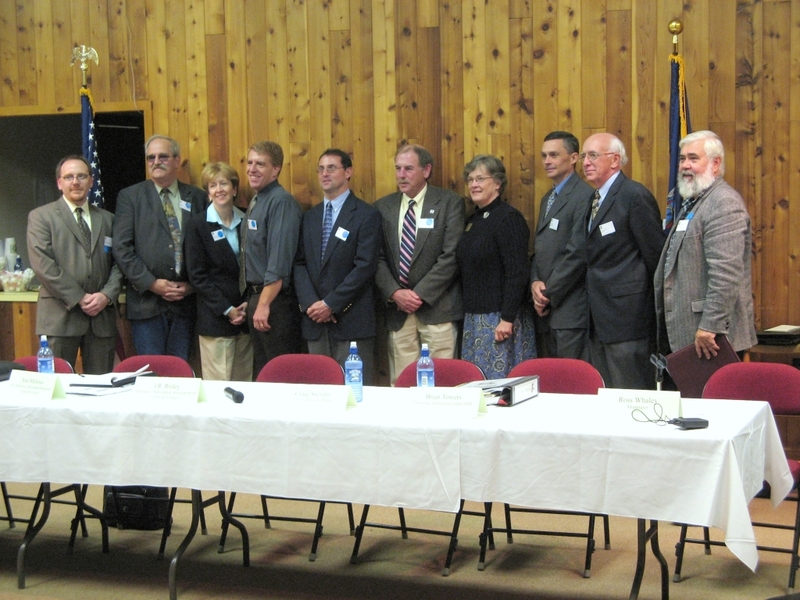 All of the discussions were moderated by Dr. Ross Whaley, Chairman Adirondack Park Agency. Carol Young-Inserra – Adirondack transplant from Buffalo who purchased the historic Adirondack Hotel in 1990. George and Susan Swift – Connecticut restaurateurs, purchased the then-closed Melody Lodge in 1976. Rachel Pohl – Raquette Lake Navigation, daughter of Dean and Donna (what a refreshing perspective on the Pohl “Empire” – these guys are creating Adirondack history everyday!). Shift from traditional weekly rentals to seasonal has changed the type of visitors and the concurrent level of demand for certain attractions. Average about 75 Motorcoach tours per season – Wow! All the credit goes to Donna for relentless marketing enthusiasm. Julius Oestreicher – Prospect Point on Blue Mountain Lake. Former site of the famous Prospect Hotel. Mr. Oestreicher purchased the property to save it from development. The existing cottages were renovated over time to retain their waterfront location (current rules would require a setback). Very interesting story and I’m really glad I heard it. Jonathan Lane – Family purchased Charlie John’s Store in 1972 and the Speculator Department Store in 2003. These two establishments are historical centerpieces of the Speculator region economy. After lunch, the public sector panelists spoke briefly about their organizations and reacted to some of the concerns from the morning. Chris Leo – NYS Office of Small Communities. His office is responsible for the administration of development grants and he described the many ways that tourism businesses and local governmental entities might qualify for their use. Hamilton County is getting an Empire Zone – What do we do with it? Ann Melious – Exec. Director of the Adirondack Regional Tourism Council – 25 year old consortium of Adirondack counties committed to economic development through tourism. She described what the ARTC is doing currently to promote the Adirondack region. Q: Is ARTC marketing in Europe? A: I Love NY is, ARTC is not. J.R. Risley – President of the Adirondack Association of Towns and Villages. 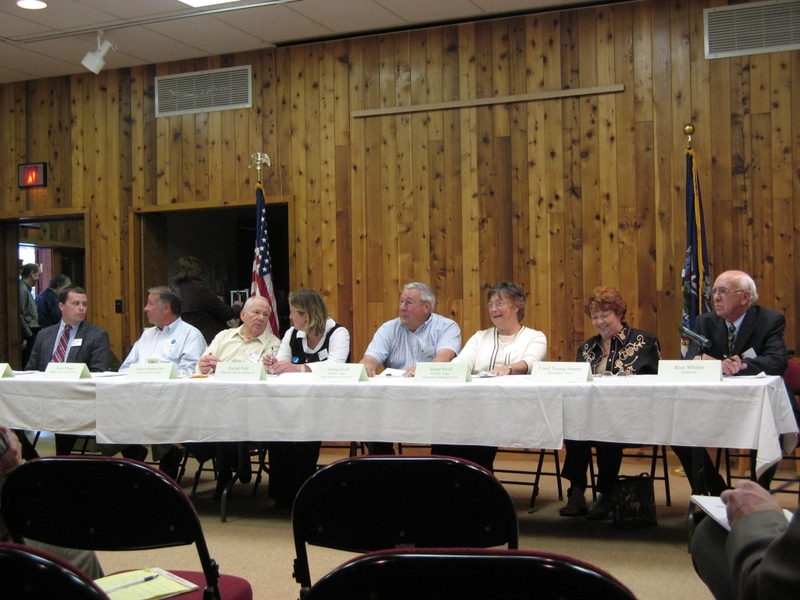 Started in the mid-90’s, this organization’s membership includes 92 towns and 11 villages. It’s aim is to improve communication between communities and to present a unified voice for local governments in the Adirondacks. Craig Stevens – VP Community Bank (formerly Tupper Lake National Bank). Mr. Stevens has had much experience in providing capital for local businesses. “For those businesses that deal with cash, please adequately report your income to the government” – Ha! Brian Towers – Chairman, Hamilton County IDA. Another important source of funding for small businesses. “I am not a banker and the IDA is not a bank” – opening line. Huh? Paul Beyer – Governor’s Office, Smart Growth NY. I don’t know too much about the grants which they are administering with DEC, but it sounds like local governments should take another look. Showed up 30 seconds after his panel started – I both admire and resent that. We do have a labor problem, mainly in the service industry. This includes both a general shortage of qualified employees and specialized trades. The problem is exacerbated by the dilemma of high property values, high property taxes, and associated lack of affordable housing. Traditional outward migration of local youths is cited as a problem, but anecdotal success stories of imported (foreign) labor seem to point to a possible solution. Fact is, people go where they can make money. If the cost of living outweighs potential income, then obviously it will be both hard to attract and retain a qualified labor force. Thus, many of the business owners in the Adirondacks have had to provide seasonal housing in order to feasibly have and retain employees. This is a supply and demand issue. I think a supply solution exists without market intervention. Having the heaviest tax burden in the United States, New Yorkers shouldn’t be complaining about deteriorating infrastructure. But they are. Nobody at the meeting denied that there are generally pretty crappy conditions all around in terms of infrastructure and blight. At the same time they are also complaining about ever increasing tax burdens. The incentive for those businesses to improve is almost immediately taken away by a concurrent increase in their taxes. I think Bill Farber said it best when he noted our state’s (we are not alone) heavy dependence on real property taxes as a primary generator of revenue. The more I heard about grants, fund, abatements, subsidies, Empire Zones, rebates, etc, the more reinforced is my belief that these are all Bandaids for a completely dysfunctional tax system both at the state and federal level. To me, this is the core problem which we must address. Market forces will sort our everything else. The other issue that is related to both of the above is the rising value of Adirondack properties. This is both a result and a generator of an increasing number of seasonal home owners. It was mentioned that this has changed the nature of the visitors to our area and have impacted the type and frequency of tourism consumption. These pressures have also lead to attrition in the supply of existing tourism related businesses as they are either sold for residential development, or no longer can be feasibly operated as a business. There is no easy answer for any of these issues and they are all interrelated. Add the unique environment of existing within the highly regulated Adirondack Forest Preserve. I’m not sure if I should be hopeful, but I am. We do have an unparalleled resource here and if we can properly balance the need for sustainable development with thoughtful concern for preservation, then success seems inevitable. This conversation is not new, and I’m sure will be continued into the future. The biggest three piles of donuts I’ve ever seen at a meeting. After lunch, a similar amount of cookies. “Why can’t we change the date the clock change so people don’t have to eat dinner in the dark in November?” – it would be easier to call lunch dinner. “Why can’t we have some kind of property tax abatement?” – that’s simply insane, this is New York. I am hankering to get to that Adirondack Museum, but admission fees are outta this world. NY travel admission prices are very unfriendly to larger families, it seems. Therefore we often drive “off the beaten path” to smaller, quirkier areas. It is nice, but once in a while I’d like to see a big place without spending $150-200! You’re so right, a family trip to any “major” attraction these days is always a costly proposition. I love the Museum and it is really an Adirondack must-see, if you know what you’re looking for or have the right expectation. It’s awesome for getting a quick snapshot of Adirondack history if one is not familiar with it. Plus, you can look and touch. I’ll have to admit, once you have actually lived in the area for awhile, some of the stuff doesn’t seem as “rustic”. Aside from their collection, a good portion of an ADK Museum visit is the trip there itself. I wonder if there is any central place that helps promote regions like this? I live in the west and we know almost nothing about the Adirondack’s, but we should. Folks should become region centric and only visit nearby areas. Yes the west is great but the East has great places to visit and camp as well. There are several professional grant writers in the ADK’s. We even have a little club/secret society. ( It’s just coffee talk..Ha!) The problem is…. we can make $65 an hour telecommuting with non-prof’s and small towns outside the region. The best anyone inside the Park has offered me is $22 an hour. We can’t live and survive in the Park at those prices– just like everyone else. Ha, don’t you know that working in the Adirondacks is charity! ?